Come join the SACC for this monthly networking event that occurs the 4th Tuesday of every month from 7:30a-9:00a at various locations. Please note there is no BBR during August. 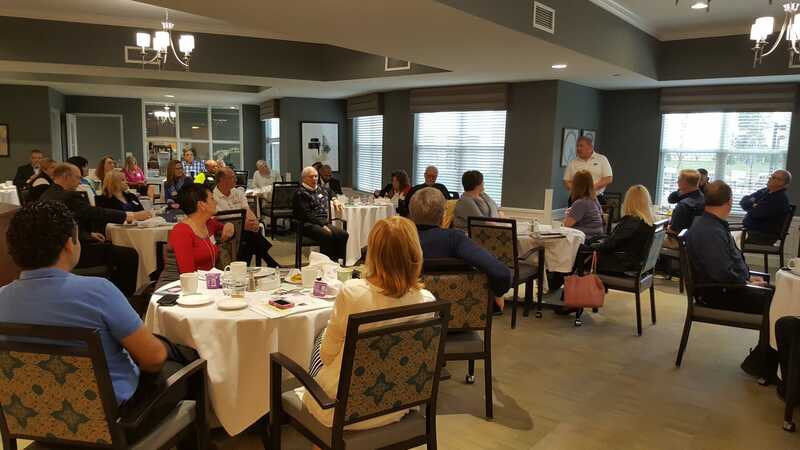 The Chamber's BBRs are a great opportunity for members to share their activities and network with others all while enjoying a delicious breakfast. Come meet members of the Board of Directors as they serve as the Emcees for the breakfasts. Each breakfast has featured speakers who are Chamber Members who are excited to share their upcoming work. If you would like time to speak at a future BBR please contact the Chamber's Membership Coordinator, Stephanie Cole. RSVPs, while not required, are encouraged to be directed toward Stephanie - she also processes all payments and questions concerning the BBRs. Interested in RSVP'ing to this event? Wonderful! Click here.